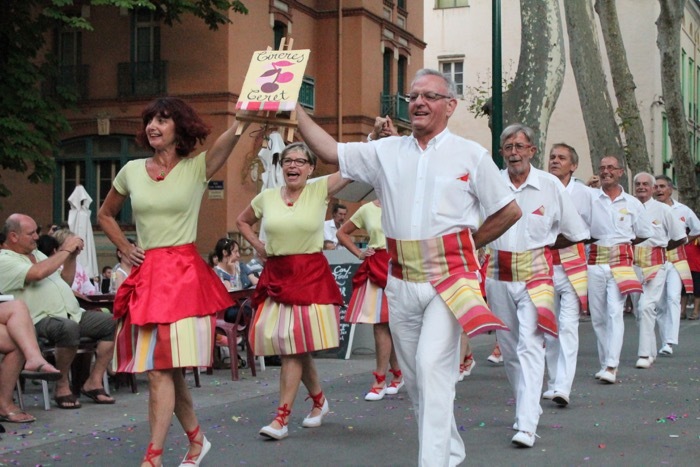 The Sardane is a traditional Catalan circle dance, believed to be of Greek origin, designed to bring whole villages out into the streets, and get them in party mood – a little like a more complicated version of the ’hokey cokey’ in fact! Music for the sardane is played by a cobla, a wind band with double bass consisting of 12 instruments played by 11 musicians. Four of these instruments (tenora, tible, flabiol and tamborí) are typical Catalan instruments along with the more traditional trumpet, trombone, fiscorn and double bass. The makeup of a cobla never varies. 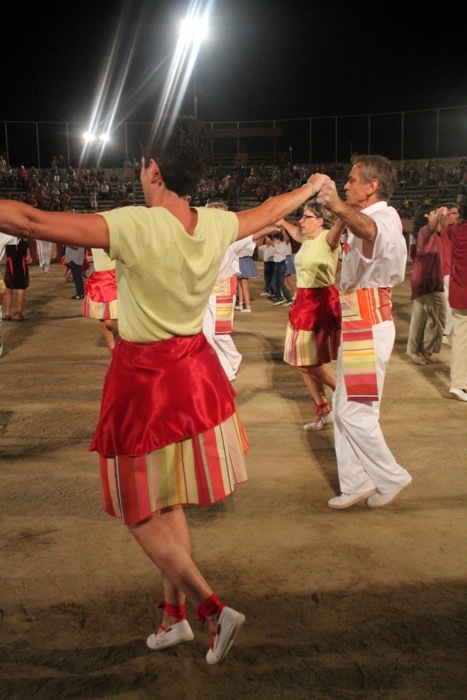 For the Catalans, the Sardane is more than just a dance. When the Spanish Republic was declared in 1931, Catalonia gained a degree of autonomy, but when the Second Spanish Republic collapsed in early 1939, General Francisco Franco, aided by Nazi Germany and Fascist Italy, declared a fascist government over which he ruled until 1975. He resented the Catalan national pride and desire for independence and considered it to be arrogant. He therefore enforced bans against certain aspects of Catalan culture, language and heritage, to force the Catalans to conform with the rest of Spain. Not for the first time, the speaking of Catalan was banned. So was the Sardane. In a paranoid country, where walls had ears and spies were commonplace, Franco believed dancers were passing on coded messages with their feet! In fact, the banning served only to strengthen the national unity and fierce pride of the Catalans, which could not be extinguished, even under the rule of a dictator. 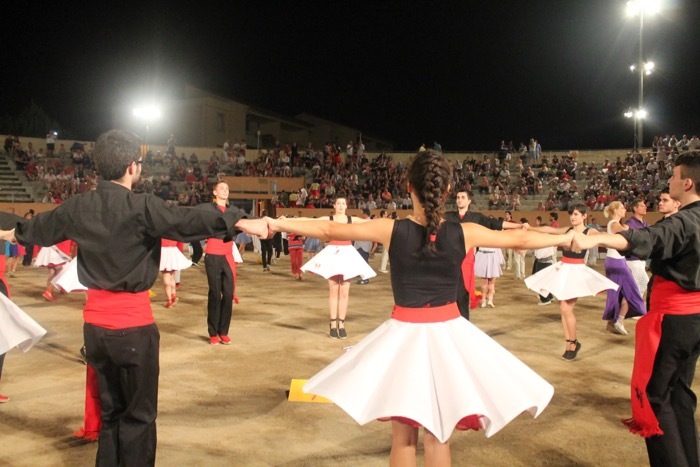 Today the Sardane is danced in villages and towns throughout Catalonia, by Catalan and non Catalan alike, and is a great way to make friends and take a little exercise at the same time. Join in the next time you see a Sardane starting up. The more the merrier!